Trained in all areas of medicine, family physicians can diagnose and treat the full range of problems people typically bring to their doctors. 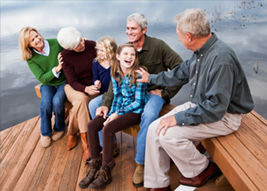 Family physicians care for all ages including infants, children, teenagers, adults, and seniors. They know how to care for you and, if necessary, when to bring in another specialist you can trust. 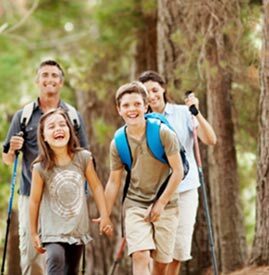 Family physicians are also experts in disease prevention, treating most acute illnesses, and helping people effectively manage chronic medical problems. They are at the center of your care, coordinating and guiding you through what can be a very confusing and fragmented health care system. Regular visits to a family physician have even been shown to lower the overall costs of health care and improve the health of the people they serve when compared to similar groups who only receive care from specialists. Dr. Hedman and Dr. Lichti chose the specialty of family medicine because they truly believe in treating and caring for the whole person. They were drawn to the specialty’s focus on disease prevention and patient wellness. They also understand that the family environment has a significant impact on a person’s overall mental and physical health, and that no other medical specialist understands these family dynamics as well as the physician who personally cares for the entire family. In order to provide families with truly comprehensive primary care, the family physician requires adequate time. The vast majority of family physicians rely on private insurance for their income. This reliance requires the physician to care for a large patient population and see many patients in the office each day. This system allows little time to focus on any one patient or family. That is why Dr. Hedman and Dr. Lichti have decided to drop private insurance and move to a patient membership model. They now feel they can truly offer their patients all the benefits and personal touch of family medicine. © 2019 · Placer Private Physicians Inc.